Portfolio Group are the leading supplier of Stationery & Branded merchandise to re-sellers throughout the whole of Ireland. Portfolio Group provides nationwide delivery and has in-house graphic designers and printing facilities, in both their Dublin and Antrim offices, to provide customers with high standard merchandise. Portfolio Group have developed a presence over the last 30 years, now they’re developing that presence online managing their products and services using the Dotser Content Management System and eCommerce software platform. Portfolio Group have the ability to add and change products in an instant and customers can purchase online using the secure Dotser eShop platform with options to pay using credit card - Paypal or Realex. 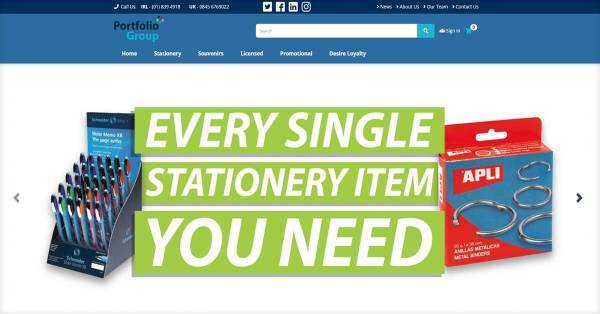 Dotser provide ongoing web development and marketing support to ensure Portfolio Group maintains its reputation as the leading stationery and branded merchandise store. 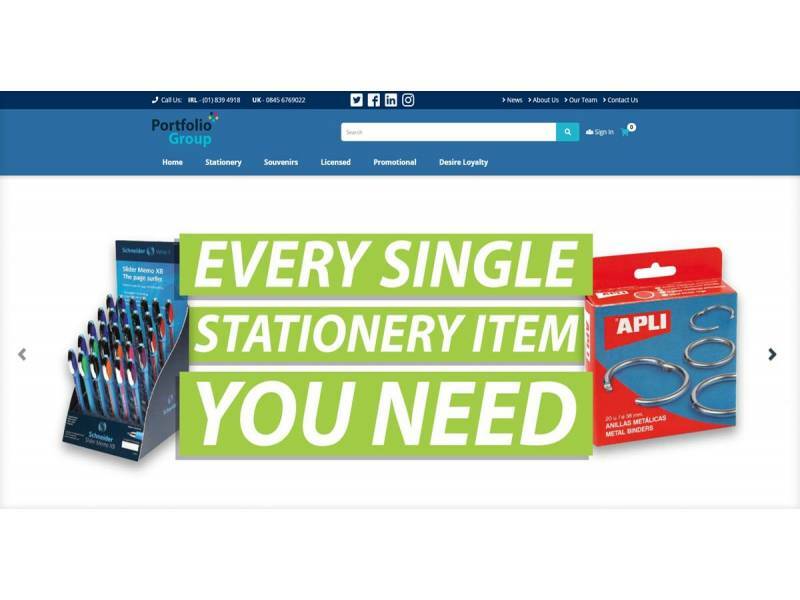 Portfolio Group's extensive range of stationary equipment includes pens, binders, shredders, laminators and much more. They also have a wide selection of products from brands such as NASA, Disney, JCB and much more.